98 registered members (andyd, alphadog, 53' Stude, 2015_PSD, 240_Ed, AdditiveOCD, 12 invisible), 1,906 guests, and 25 spiders. Cut open a Wix 51348 that had been laying around my shop for a while. Looks good, typical Wix build quality. also a quick 1 minute video. Looks OK. Thanks for chopping it. 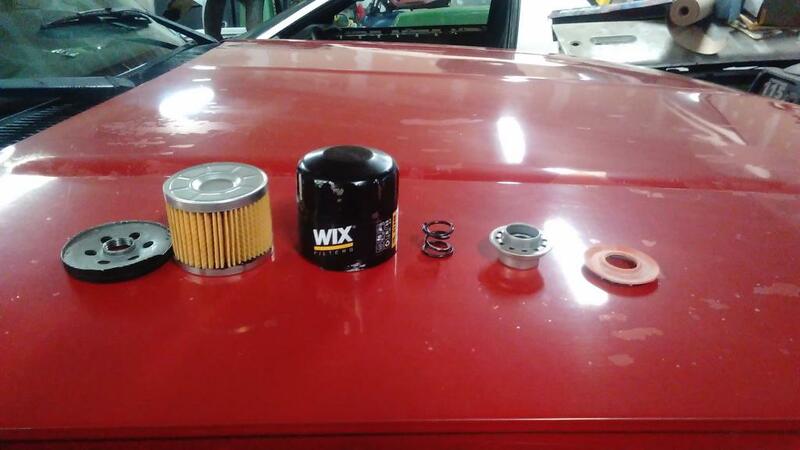 Use this application in Napa Gold 1348 form on a Tacoma 3.4L and Kohler engine lawnmower. Get them at local Napa semiannual sale for <$4. Never been disappointed with post use dissection results. Is that a Purolator Wix or an older, pre-Mann purchase Wix Co filter? As far as I can tell, WIX never changed their build methods/construction formats. I hope they don't change...after what happened when M+H bought Purolator ... it would be a shame if Wix quality went the same way. Haven't seen any difference in Wix filters even though they do have M+H printed on the box. 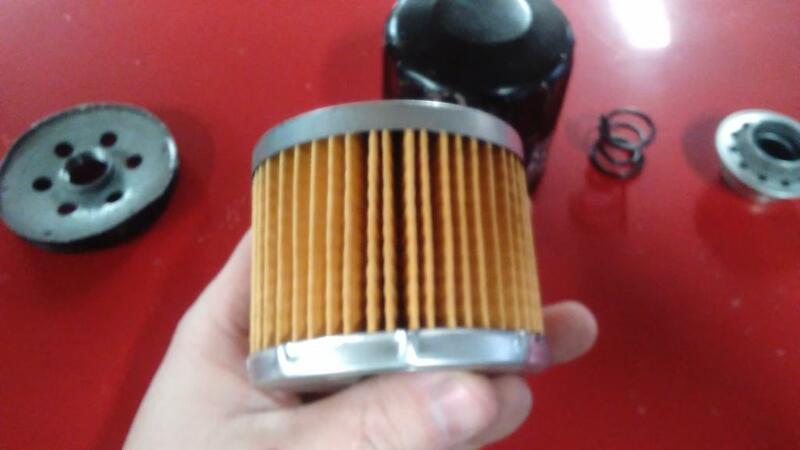 Looks good, I've never seen a poorly built Wix oil filter. Purolator Wix? Never heard of it. Purolator and Wix are two separate US based filter manufacturers that happened to owned by the same company now, M&H. To this point 'IME' I've seen no relationship or cross over of Purolator made OF to Wix made filters. Can't see the manufacture date on topic filter, but either way having purchased an NG 1348 back in October made June of last year after M&H purchase complete, filter same as I've always used. Not that it matters to me, it still has hole punched center tube. 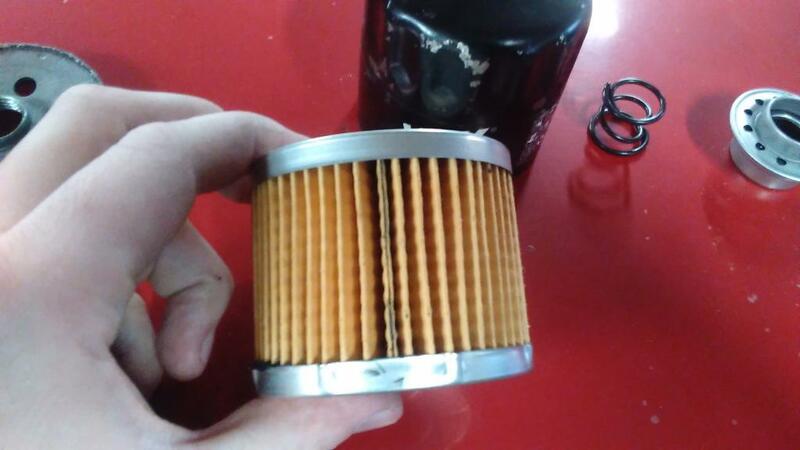 This was from a case of filters I bought from Rock auto about 4 years ago. I was maintaining 2 Saturn's and a riding mower that took them. Both Saturn's have gone to the boneyard, but they do fit the Briggs Vanguard on my Deere garden tractor.